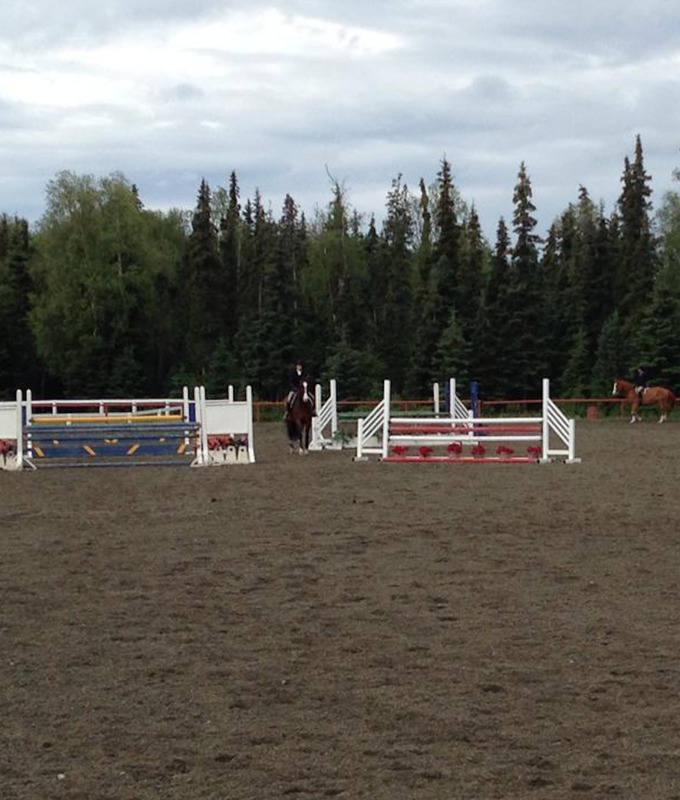 William Clark Chamberlin Equestrian Center, also known as WCCEC or the equestrian center, is situated on 28 acres in the foothills of Anchorage, Alaska. It is home to 116 roomy stalls with four neatly groomed arenas and two round pens open to general membership or day use fees. We are excited to announce the all new indoor EATA arena available for rental with appointment. The equestrian center sits on one corner of Section 16 which is home to 300+ acres and miles of marked and maintained trails. Porta-potties on site for your convenience. Join us in our fun filled horse adventures. Interested in our facility for your event?